Sydney — Wednesday, 11 July 2018 — Prophecy is pleased to announce that its subsidiary eMite has signed a partnership deal with ConvergeOne to enable its on premise and cloud based, advanced analytics and dashboard solution to be delivered to ConvergeOne customers. eMite, a wholly-owned subsidiary of Prophecy International Holdings Limited (ASX:PRO), announced an integration with PureCloud by Genesys™ in 2017 and have since released Advanced Analytics for PureConnect. Following on from that agreement and new offerings, eMite will also now partner directly with ConvergeOne to provide their innovative Australian business solution to ConvergeOne customers as an add onto Genesys contact centre software sold and implemented by ConvergeOne. Founded in 1993, ConvergeOne is a NASDAQ listed (CVON) leading global IT service provider of collaboration and technology solutions for large and medium enterprise with decades of experience assisting customers to transform their digital infrastructure and realize a return on investment. Over 9,200 enterprise and mid-market customers trust ConvergeOne with collaboration, enterprise networking, data center, cloud, and security solutions to achieve business outcomes. ConvergeOne has 79 offices in North America and over 2,700 employees. Advanced Analytics for PureCloud and PureConnect by eMite are real-time dashboard and advanced analytics solutions designed to dramatically enhance contact centre business performance. Available as a Software-as-a-Service (SaaS) cloud solution and on-premise, eMite is used in contact centres across five continents, and delivers historical data and live actionable insights in a simple, visual format that can be easily customised for different users, using aggregated and correlated data from multiple business sources. 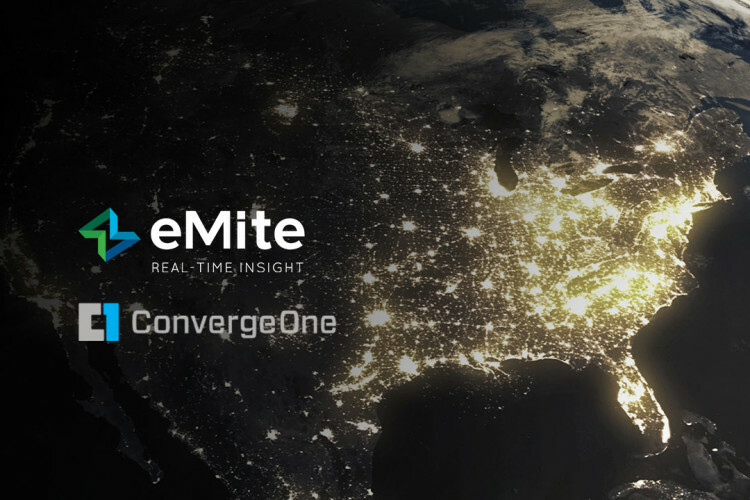 “This agreement enables ConvergeOne customers to access eMite’s world leading real time and historical analytics platform to dramatically improve their customer experience and business performance” said Brad Thomas, CEO of Prophecy International. “Furthermore, they will benefit from being able to purchase a complete solution through a single transaction with ConvergeOne that enables customers to correlate data from their Contact Centre software with business data from CRM, Service desk and other systems and applications to deliver true CX Intelligence”. Prophecy International Holding Limited is a listed Australian company (ASX:PRO) that has been operating globally since the 1980s. More recently the focus at Prophecy has been on growing the eMite and Snare lines of business. eMite platform combines analytics, correlation, capacity, and performance, availability, and SLA management into a single, out of the box solution to provide customers with real time insight. The Snare product suite is a highly scalable platform of security products designed to find, filter and forward event log data. Snare log sources include Windows, flat files, databases, Linux, Mac and Solaris with coverage for desktops and servers. Prophecy operates globally from Adelaide and Sydney in Australia, London in the United Kingdom and in Denver, USA.